For those of you who love sustainable fashion and local folk art, Kaiyare is a brand that combines both into home decor, apparel and accessories. The founders, Anvitha Prashanth and Nikitha Satish started the sustainable brand as an ode to traditional arts and crafts. With the intent of creating visibility towards local artisans, the duo pairs up two or three pieces into one collection by directly working with the regional artists. 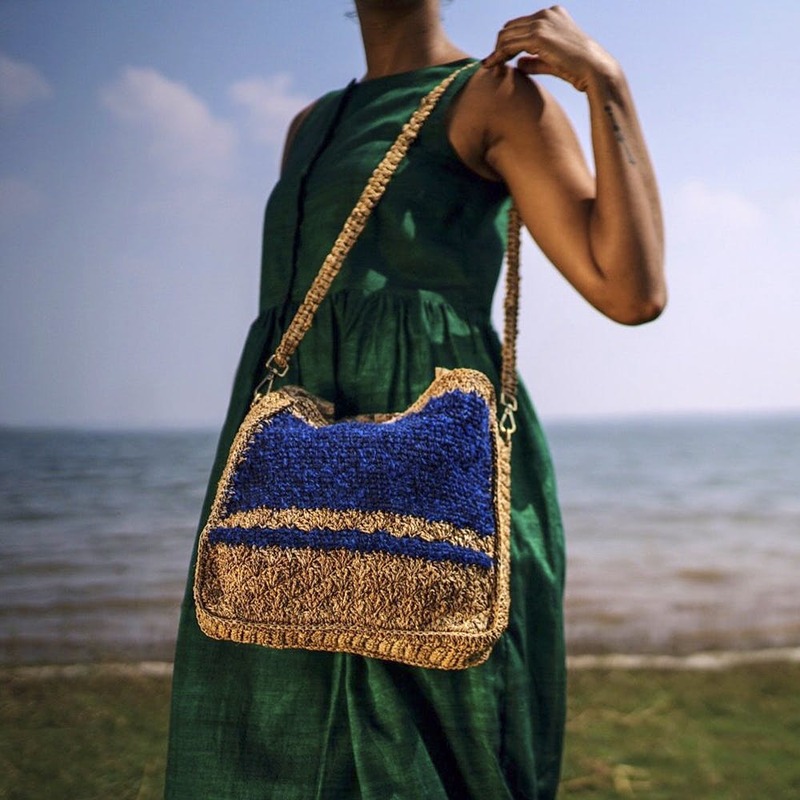 Their current line of backpacks is a mix of banana fibre and scraps of waste cloth upcycled to create adorable crochet bags! Since the whole process is handmade, the girls have trained and hired 12 rural women in Kabini as a way of giving back to the artisans and to uplift them through additional income. For their new collection of clothing, the founders are working with natural material like naturally dyed organic cotton to create apparel for kids and men. The clothes are to be embellished with Banjara embroidery (we’re already excited to wear them come summer!). They also do lovely home decor like coasters, mats and table runners that are all made purely out of banana fibre! Their products range between INR 1,400 to INR 2,400. You can find Kaiyare’s products at shelves in retail outlets of Go Native. Make sure to follow their social media to know when they’re doing pop-ups in the city!